This beautiful cabin has it all! From the upscale amenities, to the large beds, to the stunning view ... one stay is never enough! This cabin is made to accommodate everyone. Panoramic views of Tennessee, North Carolina. Perfect Place for any kind of celebration. The view from Breaktaking View is the cabin’s namesake and every day it lives up to it! The colors peak through the low lying clouds or fog…and the sun very quietly creeps up over the lake to start yet another day of fun in Blue Ridge! You can spend the day enjoying that two story view from the beautifully appointed living room—or jump in the hot tub and soak it all in from there. Venturing out on to the lake, fishing, tubing or hiking are the just some of the activities Blue Ridge has to offer. But there’s a game of billiards or a round of ping pong to play when you get back to Breathtaking View. There is plenty of fun and relaxation in the mountains of Blue Ridge. The view will be there waiting for you! 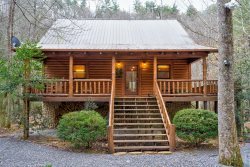 This Blue Ridge, GA Mountain View Cabin Rental is located approximately 15 minutes from Downtown Blue Ridge, GA. The cabin is on up on a beautiful mountain in the Morganton, GA area. This cabin has a great location and is convenient to Downtown Blue Ridge, GA, Lake Blue Ridge, the Toccoa River for tubing and the Ocoee River for Whitewater Rafting. Also, horseback riding and zip lining are other close by activities. Breathtaking View is very private and is considered a secluded Blue Ridge Cabin Rental.  This is a great Blue Ridge Mountain view cabin, and is a perfect choice for a small family or couples. Georgia Mountain Cabin Rentals has a staff that truly cares about your experience! Cant wait to book again. Amazing Views and enough room for the family. My check in was very pleasant. The guy at the office was polite and called the next day to check on us. Very friendly staff. We loved it. We went for my daughters 16th birthday so we had a house full. We all had plenty of room and the game room was great. The hot tub was among one of our favorites. But the views from the porches was amazing. The view was beautiful. You can never get tired of it. It was relaxing and refreshing. The stay was amazing. We had so much fun. There were more than enough plates, bowls and cutlery. We even made a small thanksgiving dinner. Jacuzzi and fire pit was great! The ladies at the desk were very nice and welcoming. Booking this cabin was a breeze. The pictures on the website were very accurate, the staff super friendly and helpful and our stay at the cabin a dream come true. I will never book with anyone else again, this one is the best out there. Wow, what an amazing cabin! It is HUGE. So much space, such comfortable rooms and bathrooms, a kitchen and dining table made for a big family (or two) and then the view... awesome! I picked this cabin based on the promising pictures on the website, but in reality it was even better. I was really blown away when I first walked in. Ii had everything and more and I would love to come back someday. We had a wonderful stay with our children and my parents. The cabin accommodated to our every need and more and we all had a very nice, relaxing time. The views were amazing, the hot tub a real treat and everyone slept comfortably in the giant beds. We would love to come back sometime and do it all over. Sorry if spelling is incorrect on names, but Daphne and Richelle were very helpful and a joy to work with. Have been singing your praises since our first visit to Blue Ridge last year. Cabins are as advertised and friendly , helpful service. Easy reservations, check in and check out. Both properties we have stayed in thus far are fantastic and each offered something a little different. We may try yet a different property of yours next visit. We really want to try Majestic View sometime, but unfortunately is not pet friendly. I have requested info on local tubing and rafting and we received a response right away. We have stayed several times in GA with Georgia Mountain Cabins and we loved it! This time, we loved this cabin so much we will probably return to it again. Your team was so friendly and helpful. They made the experience very easy and we loved the checkout process. We truly felt at home in this property. We came up to fish and hike but it rained all week. With the nice home and beautiful view, we had a wonderful time anyway! I loved the seclusion. Any time I can get a good view and not see anyone else, gold star. The staff was extremely friendly and welcoming. We were celebrating my daughter's 16th birthday. The staff knew it was an important weekend for us and went above and beyond to get us into the right cabin! We were very happy with the staff and the cabin! The house met our needs. It was large and had property to spread out and enjoy the fire pit. Very nice and friendly. Easy to work with, very friendly. It was literally my best vacation ever. Beautiful and secluded. Very comfortable. This is my second time visiting Blue Ridge and second time using GeorgiaMtnCabinRentals. Absolutely loved the cabin as it truly lived up to it's name, "Breathtaking View". The cabin is great for multiple family guests as the bedrooms are very well separated to give everyone their own space. Not to mention each bedroom has their own attached bathroom, making it very convenient to all. I think my most favorite aspect of the cabin was how secluded it was from neighboring cabins. You really get the "out in the woods" feel at this property which was exactly what we needed. Thanks again GeorgiaMtnCabinRentals, we'll be back for a 3rd visit! I can truly say I enjoyed my birthday this past weekend! I mean everything about the cabin was absolutely breathtaking. I really loved the kitchen! I wish I could have stayed another day or so. Thank you so much for everything. The cabin was just as pictured. The kitchen had everything you could possibly need and more. Beautiful view and you were not right next door to your neighbors. Loved it and would definitely stay again!! I only had contact with the after hours staff. All the rental was handled by computer. I would absolutely consider another vacation here. Felt like home. Not some vacation hotel stay. I didn't work with your team face to face or even thru talking. It was all thru the internet and email. But was all super smooth. Thank you for such a smooth process to reserve a vacation rental. We will use you again. This place was absolutely beautiful and had everything we needed. Such a peaceful, relaxing get away! Your team is awesome! They are very efficient, friendly and thorough. Thank you! The staff responded quickly to my inquiry and were very knowledgeable on the property. The system that they use to book, pay and get into the property is excellent. They were super friendly and helpful when we arrived at the office to get the check in info which explained everything thoroughly. It made everything very easy for us! Thank you, we'll be back! We really enjoyed family time at this property! This was the only time until X-Mas that we will have all 3 of our children together in one place because 2 are in college and have internships. Happy that it was pet friendly. We normally board our dogs but our daughter who goes to college in Fl really wanted to bring them (chihuahua and shiatsu) since she never gets to see them. The dogs stayed in the crate at night and when we were gone but when we were at the property it was perfect for the dogs outside and inside. We enjoyed cooking over the fire pit, enjoyed sitting at the bar on the deck, enjoyed playing pool, darts and we all played jenga upstairs in the family-room. Kitchen is a beautiful place to cook. Property is decorated wonderfully, love it! The property is absolutely Beautiful, very spacious layout and breathtaking view is a very accurate title. It is very private and immaculate. The kitchen is open and updated with plenty of dishes, cookware, etc. There is plenty of seating inside and out. My daughter enjoyed doing yoga on the large deck with a view of the mountains in the back round, we all enjoyed the wonderful fire pit area and so much more. We want to return! loved the cabin.. Staff was very attentive and friendly. loved! It was beautiful and very clean!